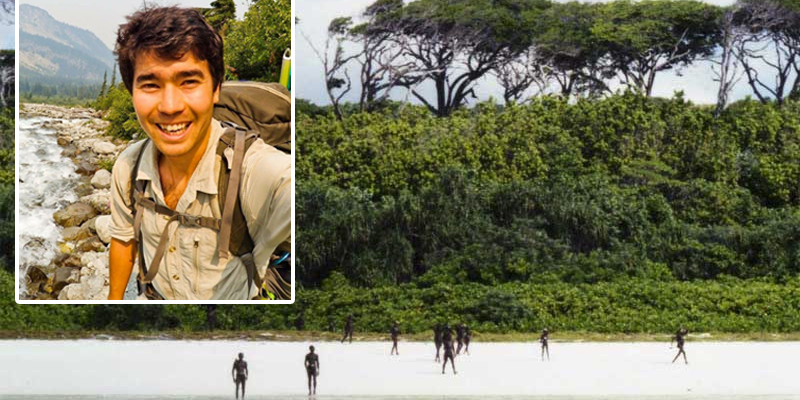 Members of the Sentinelese tribe killed John Allen Chau (inset) when he visited the isolated North Sentinel Island on November 17, 2018. Indian police are struggling to retrieve the body of 26-year-old American John Allen Chau, who died after visiting the remote North Sentinel Island two weeks ago. The Sentinelese people are averse to any foreign intrusion, and even government officials from neighboring islands don't go there. Police who went near the island to find Chau's body on Saturday saw the Sentinelese people lined up on the island with bows and arrows. The Sentinelese people killed Chau with arrows and buried his body on the beach, police said. Members of a remote Indian island tribe lined up on a beach with bows and arrows when police tried to visit them to retrieve the body of a 26-year-old American who was killed there. John Allen Chau, a 26-year-old missionary and self-styled explorer, was killed while visiting North Sentinel Island on November 17. The indigenous Sentinelese people shot him with arrows and buried his body on the beach, Indian police said. Indian police are in a quandary over how to retrieve the body. Visiting the island is highly dangerous, and even government officials from the neighboring islands don't go there. 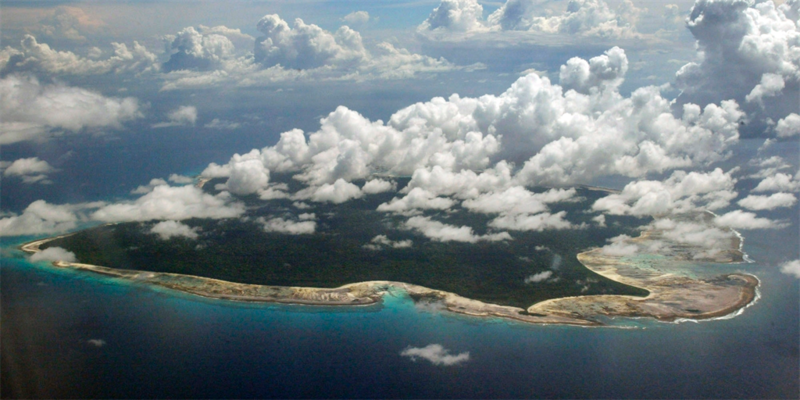 Foreigners are banned from visiting the island to protect the Sentinelese way of life. Contact with outsiders can also put the indigenous people at risk of contracting illnesses like the flu and measles. North Sentinel Island, which is located in the Andaman and Nicobar Islands off southeast Asia, pictured in November 2005. 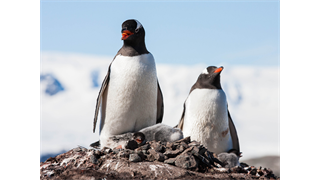 Visits to the island are highly restricted, and also illegal. Police attempted to approach the island on Saturday, staying in a boat about 400 meters off the archipelago's shore, regional police chief Dependra Pathak told Agence France-Presse. But they retreated after seeing through their binoculars the Sentinelese lining up with bows and arrows. "They stared at us and we were looking at them," Pathak said. 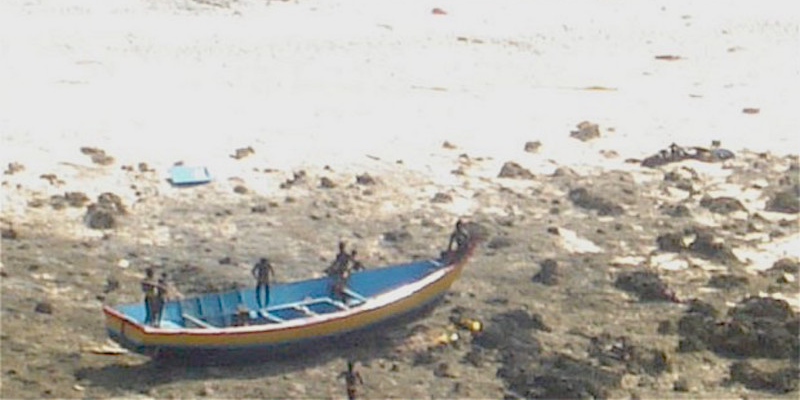 Indian police, coast guards, and officials from the forest and tribal welfare departments have taken at least three boat expeditions to the island so far. Pathak said on Saturday, according to the BBC: "We have not spotted the body yet but we roughly know the area where he is believed to be buried." Chau paid a group of fishermen about R4,300 to take him near North Sentinel on November 15, and used a kayak to paddle to shore, the Associated Press reported. He seemed to know that his trip was dangerous and illegal, as he wrote in a final diary entry that he believed God helped shield him from island law-enforcement officials and said: "God, I don't want to die." In 2006, the Sentinelese people killed two fishermen and placed their bodies on bamboo stakes. Chau appeared keen to bring Christianity to the island, whose people are averse to any foreign intrusion. In 2006, the Sentinelese killed two fishermen and placed their bodies on bamboo stakes, the BBC reported. On his first trip to the island on November 15, said that he "hollered, 'My name is John, I love you and Jesus loves you,'" according to one of his final diary entries, published by The Washington Post. A young boy fired an arrow at him in response, which speared his waterproof Bible. Chau died when he returned the next day. He reportedly planned his trip to the island for at least two years, and friends didn't stop him as they believed he was doing God's work. Is Amazon scouting for a massive new office in Cape Town?